Suits are considered the ultimate staple for a gentleman’s wardrobe as they transcend time and culture. There are many occasions however when a man doesn’t want to fit in or wear something traditional or conformist. This is why the ability to style mismatched blazers and trousers will come in handy. Below we take you through our top tips for styling mismatched separates so you don’t end up looking like a clown. The bread and butter of separates, navy and beige are failsafe because beige is neutral and is discernibly complementary to navy. The biggest issue with navy and beige is that it can be a little too expected. 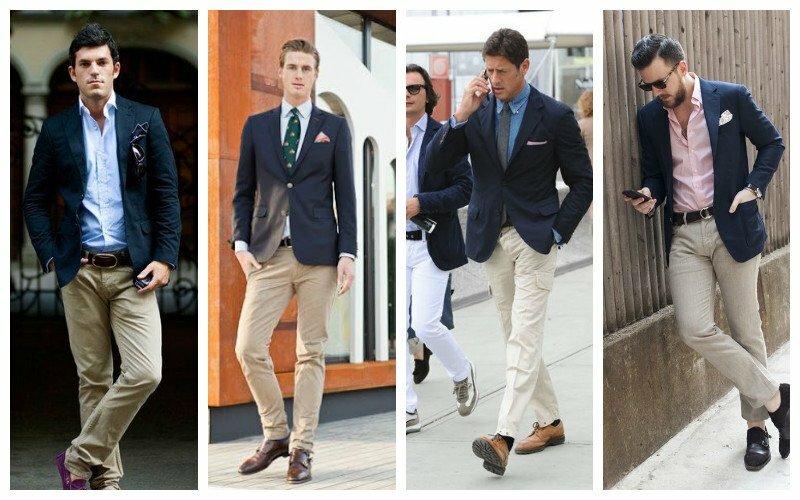 To ensure your navy blazer and beige trouser combination don’t look too clichéd, introduce other colours to switch up your look. Add accessories like pocket squares in emerald green, deep burgundy and rich browns to amplify a basic navy blazer and beige trouser combination. Navy blazer and grey trousers are also an obvious pairing but nonetheless easy to perfect if you are a little reluctant to try out mixing up your looks with separate combinations. For this pairing stick to staple colours like white and powder blue for your shirt choices as this will allow a more classic interpretation of the trend. Also, be conscious of the type of grey that you select for your trousers; you don’t want a light shade, and you should avoid going for a pair that is too dark so that there is no distinction between your blazer and trousers. While this guide deals mostly with different coloured separates, our pick for a navy blazer and blue jean pairing rests on the distinction between the materials of the separates. 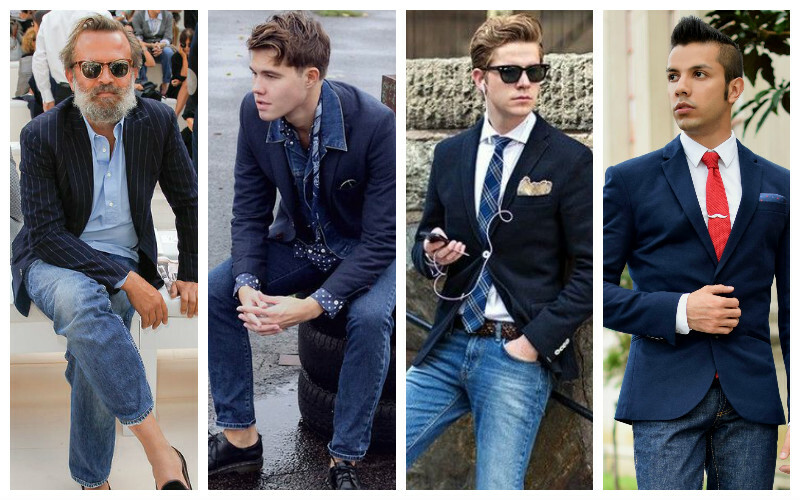 The important thing to remember is to combine good quality denim with a casual blazer. This will ensure that the separates don’t look too mismatched with one another, and they will both possess the same level of formality (or lack thereof). For a different take on this colour combination, try out mid wash denim jeans with navy blazers to contrast the separates for a more dimensional look. 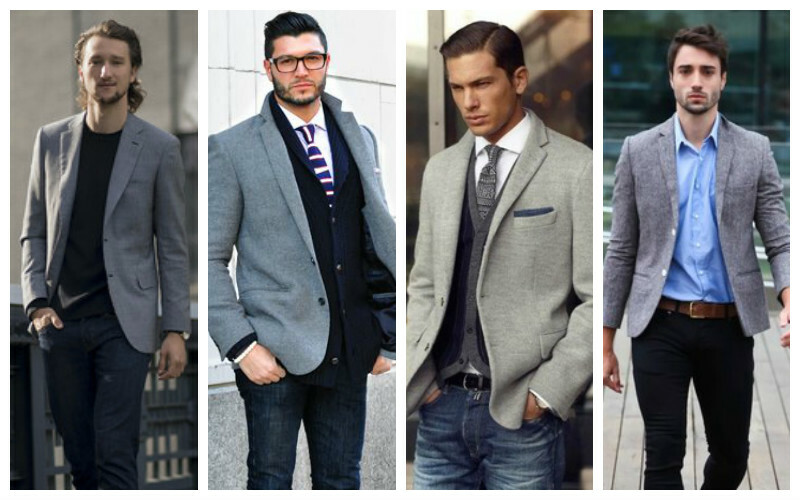 Dark wash jeans work very well with grey blazers and tend to be more casual and complementary with fabrics like denim. 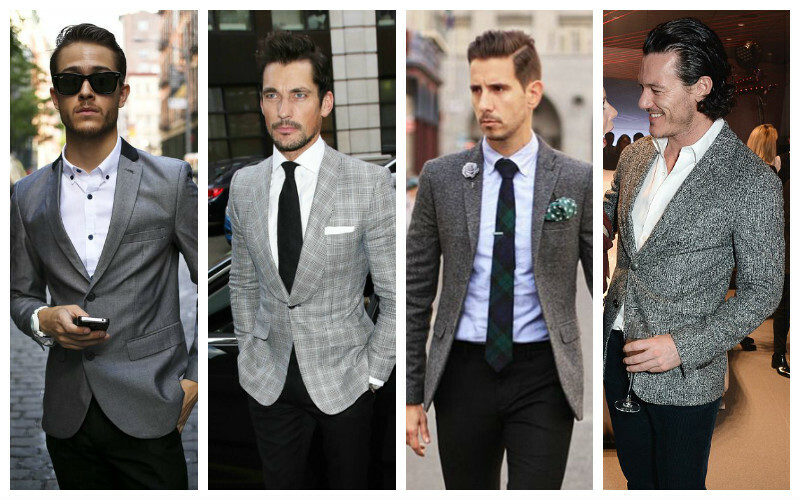 The key to perfecting this combination is to ensure that the material of your blazer is not too formal. Remember that separates only work if they are similar regarding their level of formality. 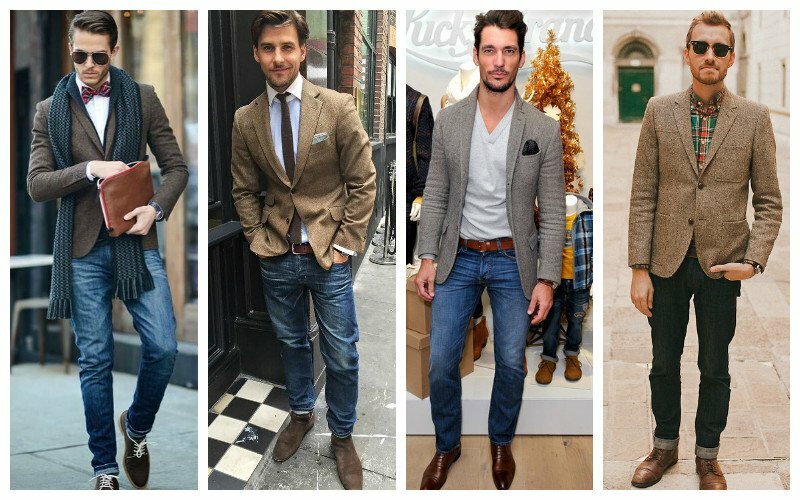 For example, denim is a more casual material, so opt for lightweight cotton grey blazers to keep things consistent and not too out of place. Grey blazer and black trousers project a classic aesthetic, so this pairing is a great option for minimalist casual or dressed up looks. The palette that black and grey work from means that this colour combination is failsafe and easier to style. Stick with monochrome accessories to sustain the simple colour story. To acclimate this colour combination, pair your grey blazer and black trousers with a humble white T-shirt or lightweight sweater. 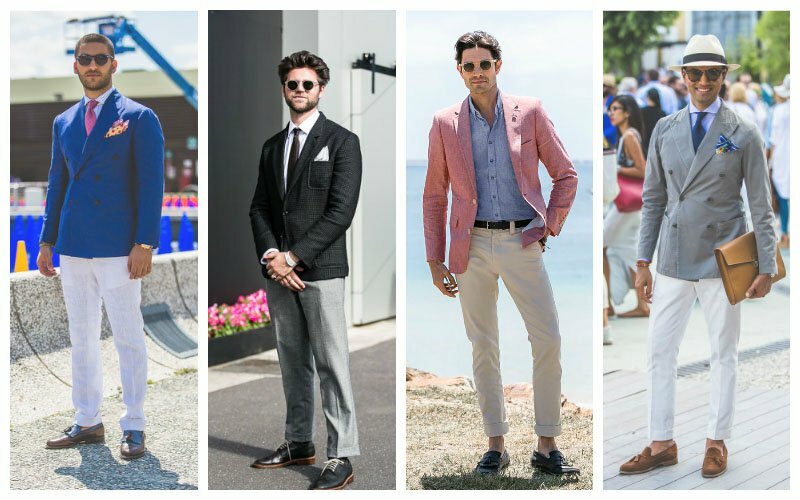 While we advocate a fitted, slim cut silhouette for all of these looks, it is most crucial to sustain a youthful tailoring with this traditional colour combination. Browns and navies are classic and visually work well together. 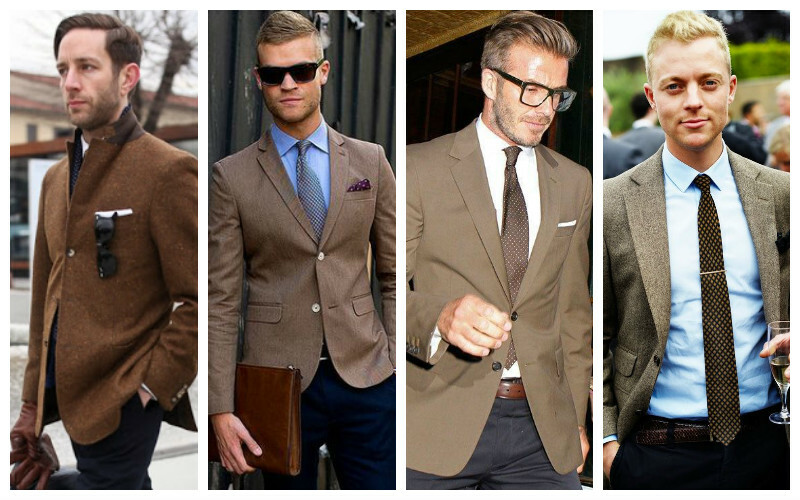 Don’t be afraid to opt for richer browns and navies; the combination will complement a quasi-formal style perfectly. Suede tassel loafers will complete the outfit, lending a relaxed vibe to these separates. 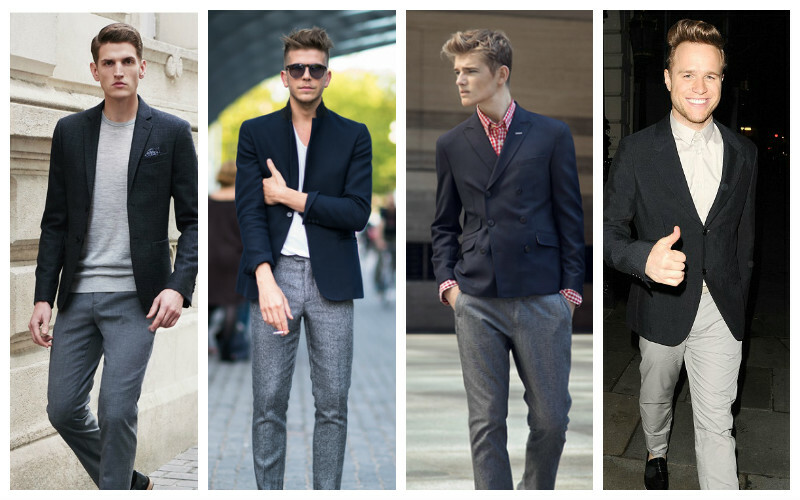 Black blazer and grey trousers work tremendously well for formal and casual looks. This separate combination is also a great option if you want to balance out your proportions. 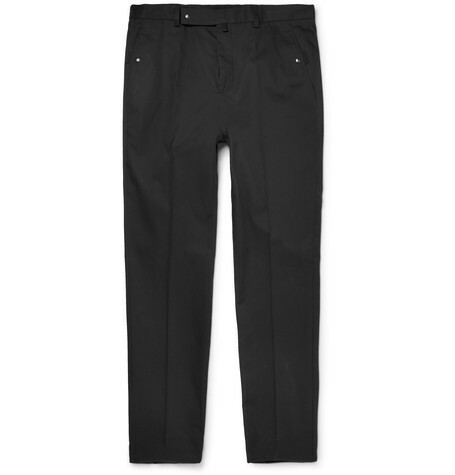 As with a grey blazer and black trouser combination, stick with simplistic colours to preserve a classic aesthetic. Patterned pocket squares will brighten up a solemn black blazer, and will breathe life into this colour combination. The combination of tweed and denim is a balancing act that requires great tailoring and a mindfulness to the type of tweed you opt for. Tweed and denim lend more of a traditionalist vibe to your look; think preppy brands like Ralph Lauren and Tommy Hilfiger for inspiration. This separate combination is also an appealing option for dinners and semi-formal day events. Tweed and denim call for layering and an incorporation of cable-knit sweaters and traditionally patterned scarves that work well for the upcoming colder months. 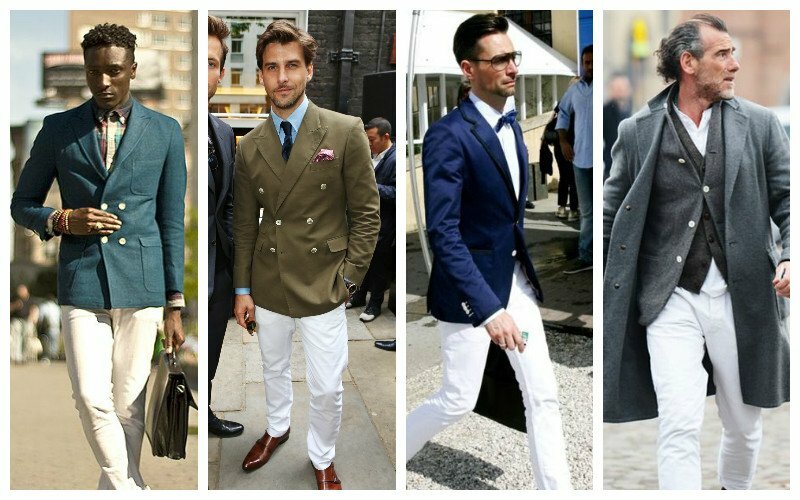 White trousers are a favourite choice amongst bloggers and street style stars. 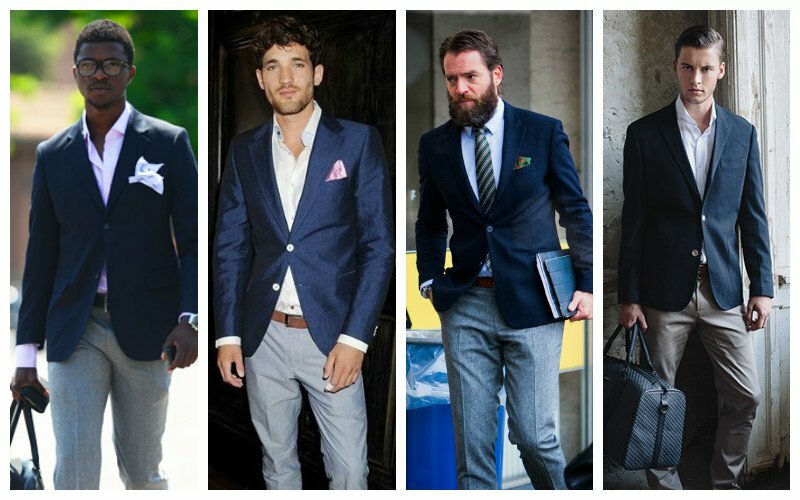 Wear blazers in classic colours like navy or a muted grass green. Pastels can also work, but ensure that you have other darker tones in your look to ground the lighter colours. Also, keep in mind where you will be going. 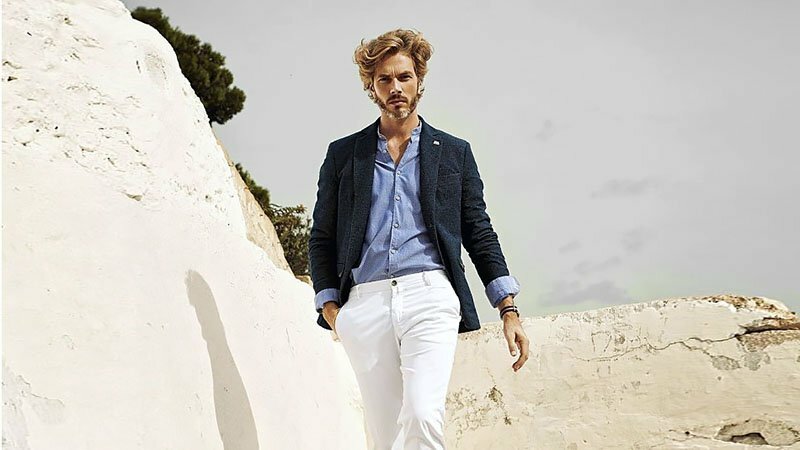 White trousers are a great option for weekend looks and more relaxed days, and a coloured blazer can dress your trousers up. The problem with styling separates is that there is a lot of room for error. You are working with pieces that may not have been designed to complement one another as well as made from different materials and colours. The first thing you will need to ensure is that your colour combinations are complementary to one another. Focus on the tones of your separates – some colours will not work with others. A good rule of thumb is to invest in neutral pieces – this will afford you much more versatility when matching them. Another important tip is to ensure that your blazers and trousers are tailored in a similar manner. You should be going for a well fitted, streamlined look. This will ensure that your separates look like they belong with one another as opposed to looking like you’re wearing them because you couldn’t find a matching pair of trousers and its corresponding blazer.